A man is under arrest after his mother was found dead in her East Falls apartment on Wednesday morning. Police went to The Avenue at East Falls apartment complex on the 5400 block of Wissahickon Avenue around noon to perform a welfare check after other family members had not heard from her. They discovered 49-year-old Tammy Blount dead from stab wounds and blunt force trauma. Her son 27-year-old Malachi White was taken into custody. Police believe that Blount was killed on Monday and that her son was living in the apartment with her dead body for the past couple of days. Philadelphia Police Capt. John Ryan says that White suffers from mental health issues and may be off his medication. He will be charged with murder and related offenses. A Germantown high school was placed on lockdown and two students arrested this morning after a gun was recovered this morning. 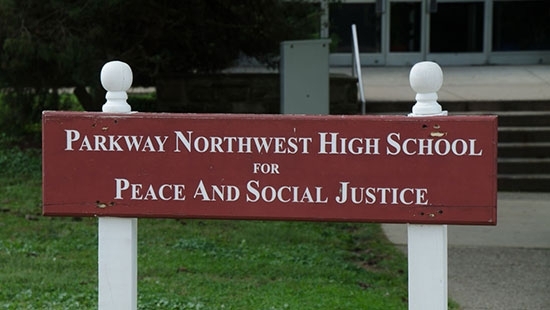 It started at 10:30 a.m. at Parkway Northwest High School for Peace and Social Justice on the on the 6200 block of Crittenden Street in Philadelphia. Firearms were recovered in a second floor locker. The rest of the school was searched by K-9. The lockdown was lifted at 12:30 p.m. No one was injured. There is no word on what charges may be brought against the students. A Philadelphia man was killed over the weekend in a skiing accident in the Poconos. 53-year-old Grygoriy Sologub was on a double black diamond trail at Blue Mountain Ski Resort. He was discovered by another skier. An autopsy by the Carbon County Coroner says he died from blunt force trauma to the head and neck. It has been ruled accidental. 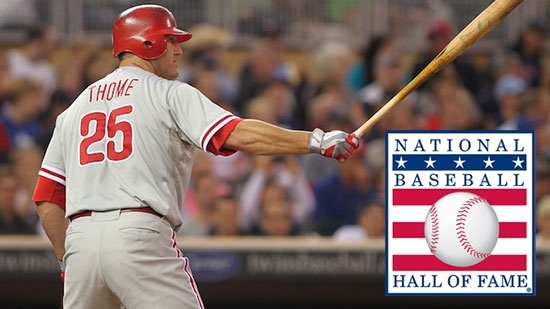 Former Philadelphia Phillies 1B Jim Thome has been elected to the Baseball Hall of Fame in Cooperstown, NY. Thome also played for the Indians, White Sox, Dodgers, Twins, Orioles. This was his first year of eligibility. Chipper Jones, Vladimir Guerrero, and Trevor Hoffman round out the 2018 class. Philadelphia 76ers stars Joel Embiid, Ben Simmons, and Dario Saric were selected to participate in the Rising Stars game during NBA All-Star weekend. They will represent the World Team comprised of international players. Embiid will probably not play since he is starting the All-Star game. It is great that Simmons was acknowledged, but many thought he'd be selected as a reserve player for the main event. He finished 4th in overall voting for the East. His fan rank was 3 and player and media rank were both 6.